Car won’t start or have a flat tire and need towing? You don’t have to panic, simply call Fast Fargo Towing in Baltimore MD and we’ll be able to handle the roadside assistance situation properly and patiently. Many people worry about the cost of emergency roadside assistance services and or tow truck expense but we are not only affordable but reliable. In most cases, we are able to come out within 30 minutes and tow your car immediately get it out of the freeway and out of traffic safely. Other times flat tires can’t be managed by yourself and we can definitely help tow your car in Baltimore and take it to its destination. Versatility is very important in this case, and you are going to realize just how important our Baltimore MD tow services can be. We don’t limit ourselves to particular vehicle types, so whether you’ve got a medium duty vehicle or a light vehicle we’re going to be able to get the job done. Flatbeds are also available for those who need to transport expensive vehicles because nobody is going to trust their expensive car to be safe on a regular tow truck (unless you don’t have a problem with low-car scratches). 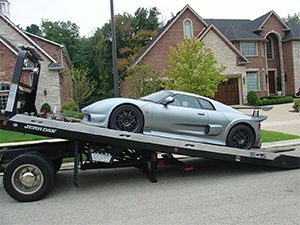 There’s no need to become frustrated due to the problems you’re having with your car, that’s why we are here, you found a reputable towing service in Baltimore, MD. If you can’t trust us with your vehicle you won’t be able to trust anybody else, we’re reputable and willing to dedicate ourselves to the transport of your vehicle at any time. Roadside services are crucial for those who are in need of it, because we’ve all been in the position (well, it’s more than likely) where we’re stranded on the side of the road with no assistance. Give us a call today.